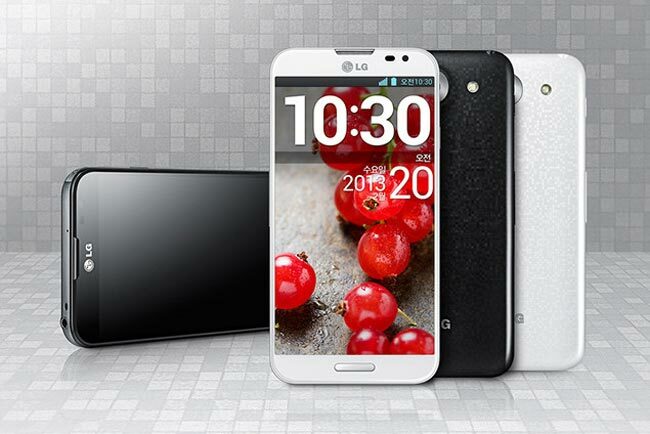 LG and AT&T have released the Value Pack software update for the LG Optimus G Pro, the update brings a range of new features to the device and you can see a full list of what is included in the update below. Smart Video will recognize your eyes and pause a video if you look away. Dual Camera will let you snap a photo of yourself and your subject simultaneously using the front and rear facing cameras. Pause and Record allows you to pause video recording instead of stopping it completely. Magic Remote pad lets you control 2012 and newer LG smart TVs with your phone. Text Keypad gives you a keyboard app to use for typing on your LG smart TV. You can now customize alerts and the color of the home button LED light based on which contact is messaging you. You can now select from over 800 different emoticons while emailing and texting. The LG Optimus G Pro Value Pack software update should be available for you device as an over the air update, you can check to see if it is available from the settings menu on your handset.